Offering a time-saving serving solution for your cafeteria, buffet, or restaurant kitchen, this Advance Tabco DISLSW-3-120 stainless steel slimline drop-in sealed well electric unit is perfect for nearly any application. A three well design features fiberglass insulation in addition to 12'' x 20'' die stamped openings. A remote control panel allows for easy access, while 1'' IPS drains remove melted ice and water from the bottom of the basin. 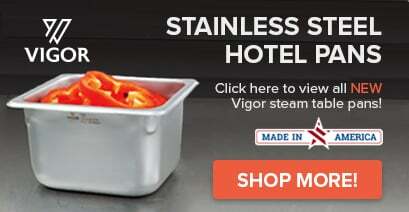 This unit is designed for high volume use thanks to sturdy stainless steel construction that includes an 18 gauge, 304 series stainless steel top and 20 gauge galvanized body. Other features include infinite control knobs and integrated indicator lights. It requires a 120V electrical connection.